Or is it the workbench? I always get that one mixed up. Both of mine are currently in different hemispheres explaining the dichotomy that is my head. Where ever you are, you should treat yourself to a vinyl copy of “Dark was the Night” an Red Hot Benefit Compilation on the 4AD label. Side 2 of 6 is just divine and is keeping me from missing that old workbench too much. 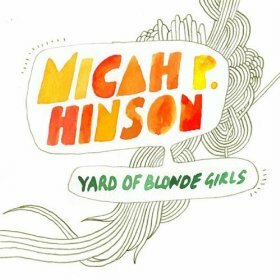 The other treat we picked up recently was Michah P. Hinson off of the Folk Off compilation. You can see what I mean about that Yard of Blonde Girls via YouTube. This entry was posted in dark was the night, yard of blonde girlrs on August 10, 2009 by kristindagostino.